We repair & service both domestic and commercial fridges. We have accounts at several fridge spares suppliers and offer competitive prices on parts required for your fridge repair. Most makes and types including Admiral, Amana, smeg, maytag, Whirlpool, Hotpoint, KitchenAid, AGA. Plus refrigerants R134a & R600a. Western Refrigeration is a reputable company, carrying out fridge repairs for big name contractors. 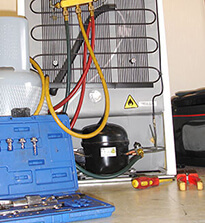 Your repair will be carried out quickly to get your fridge working as soon as possible. Western Refrigeration is based in Carluke, and service Glasgow and Lanarkshire areas. With a highly experienced engineer you can be sure your fridge will get the best service available. 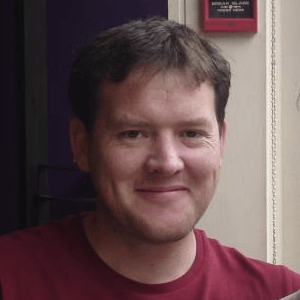 Our engineer, Ian, has 18 years experience in refrigeration. He is fully competent with most makes of fridges and freezers. A particular strength is working on large American style fridges and freezers. 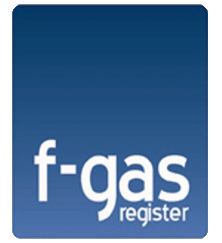 Ian is F-gas certified FGAS2000524. This is an accredition that all businesses that 'install, maintain or service stationary refrigeration, air-conditioning and/or heat pump equipment containing or designed to contain F-Gas refrigerants’ must have by law'. I was told that refrigerant R134a is no longer available, is this true? What are the best temperatures for fridges and freezers? From experience good quality washing up liquid works best. Use it on a clean cotton cloth and rinse with clean warm water. Do frost-free fridges need cleaning? Yes. As all fridges only slow down the growth of bacteria, it is essential to clean them out at regular intervals. Will manually defrosting a frost-free fridge fix the problem of a build-up of ice? This solution will only fix the problem as a temporary measure. If the cause of the ice build-up isn't rectified it will keep happening and you would have to keep manually defrosting it. I have an (integrated) appliance and it can't be easily accessible for repairs. The appliance is covered by an insurance cover. Am I covered? Most insurance policies only cover you for parts and labour for repairing the appliance and not for extra work in gaining access to the appliance (please see your insurance terms and conditions). If the repair agent can't easily gain access to your appliance then you may have to pay extra for another callout for the return visit. My appliance installer has installed my appliances but the electrical cable and hoses are to short to pull the appliance out for cleaning. Is this okay for them to do? No, as a rule of thumb all appliances should be able to be pulled out completely with all electrical cables and hoses still connected.